She’s one of the biggest pop stars today, Taylor Swift has proved herself as a singer, song-writer and all star entertainer! But what’s her Star Sign Style? Sagittarius Swift… Taylor’s Star Sign Style! Sagittarius is a dynamic sign, full of fun and an adventurous spirit. They make Fabulous pop princesses, down to their ability to launch into the limelight at an early age. Britney, Christina, Nicky Minaj and so many stars are born under this exuberant zodiac sign – read about the commonalities of these singers, here. Though she be Sagittarius, Taylor has her Mercury and a further few planets in ambitious constellation Capricorn. 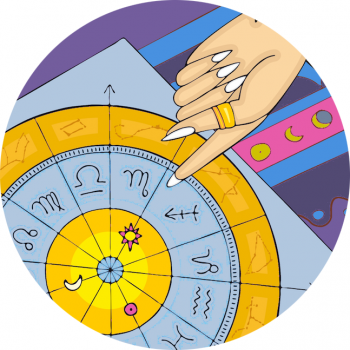 This makes her business-minded, and adds masses of determination, combined with Sagittarius’ self-belief. The earthy Capricorn energy will allow hard work to prevail over all else, especially if the birth time (making Taylor Leo Rising) is correct, as all these planets sit in the fifth house of fun and creativity, meaning Taylor thrives on rising to the top! No wonder Swift was chomping at the Saggy bit to get her singing started. Venus in Aquarius would fall in the sixth, showing love is connected to work in someway – the subject of romance is a key theme! People with an Aquarius Venus have the capacity to be a little distant, as this is an air-ruled sign. They value friendship in their relationships and will often have a partnership that’s a little different or against the grain. Moon in Cancer is seriously significant in Taylor’s chart, conjunct planet Jupiter it holds large importance. It suggests that Taylor is much more sensitive, sentimental and moody than the Sagittarius spirit suggests. Very emotional and feeling. The moon’s placement could also make the singer in tune with what the people want to hear. The moon in astrology rules over ‘the people’, so those with a strong moon in their chart can be extra sensitive to the feelings of the greater masses. Taylor certainly connects with her audience through her heartfelt songs, she may know just what they need to hear!